Quick: what domesticated animal adds more than $600 million to California’s economy every year? That is equal to nearly half the size of California’s cattle industry and roughly the same size as the poultry industry. The answer? Bees. And unlike cattle and poultry, whose value is primarily in their consumption, the value of bees is in the form of the pollination services that they provide. These pollination services are difficult to replace, exceptionally important, and now, under threat. Pollination is an often overlooked aspect of our agricultural system, but it is one that is irreplaceable; whether it is done by bees or by hand, plants cannot reproduce without pollination. As a result, it used to be that pollination was one of the most obvious examples of the types of ecosystem services that so often go under-valued in the modern economic system. For centuries this critical aspect of our food production was done by naturally occurring beehives and other insects in effect for free. However, as agriculture becomes more and more specialized and industrialized, relying on naturally occurring pollinators simply won’t cut it anymore. The pervasive mono-cropping of almond trees in California’s central valley has resulted in ecosystems that support no native pollinators. In fact, as one farmer points out, the number of species the entire ecosystem supports other than almonds can be counted on two hands. This utter lack of biodiversity that has eliminated the native pollinators means that almond farmers now rely on commercial bee keepers to pollinate their trees every February and March. At a cost of around $300 an acre, farmers hire bee hives to ensure that their trees will produce almonds for the harvest. This commercialization of bee keeping has shifted pollination into a strange grey area between a true ecosystem service and modern agriculture. While it is still the bees that provide the service, the structure of modern agriculture ensures that this service no longer occurs naturally and certainly no longer occurs free of charge. Instead, bee keepers truck their bees thousands of miles every year to provide pollination services, from Florida to California to Maine to Cape Cod and back again. But just as the evolution of modern mono-cropping rendered the natural process of pollination obsolete, this new industrial model of pollination may prove to be unsustainable, as well. It has been obvious for some time now that bee colonies are struggling, particularly in the United States. Bee populations have plummeted in recent years, with losses between 30% and 50% of hives. Some of these losses are the result of Varroa mite infections in the hives, possibly caused by constant movement across the country. Others are due to colony collapse disorder (CCD), which may be a result of the application of a certain class of pesticides to agricultural crops. These neonicotinoids are imbued in the crop and thus bees are exposed over and over when they gather pollen from multiple plants. Whatever the cause, though, the decline in bee populations has already had an effect: the price of a hive in the California almond fields in the last ten years has more than doubled. While the true causes of CCD and other threats to bee populations remain a mystery, the need for pollination is not going to change. If solutions to the current threats cannot be discovered, whether by banning neonicotinoids, introducing more diverse cropping methods, or some other method, pollination must continue. In China farmers have turned to pollination by human hand, a process that is both time consuming and expensive. This may be an option on small scale farms, but it seems unlikely that human pollination is a viable alternative for the massive scale of much of American agriculture. Here then, pollination begins to resemble a more classic ecosystem service again: it is impossible to farm without it, and the non-natural solutions all appear to be prohibitively expensive. One small step towards creating more robust bee populations could be incentivizing the planting of more diverse home gardens. One researcher suggests creating incentives for individuals to expand the variety of plants, and weeds, in their gardens as a way of re-building some of the ecosystems that provide food for pollinators. Whether funded by a government program or an industry group, the external benefits of such a program — were it to become widespread — would reach far beyond any single group. Like many ecosystem services it is a classic example of a public good provision, which may explain why such a program does not currently exist. The pollination services provided by bees is an example of an ecosystem service that has followed an unusual trajectory. Beginning as a classic ecosystem service, it was compromised by the transition to industrial mono-cropping and so the classic ecosystem service was replaced by an industrialized version of itself. Now this industrial version is under threat, and no obvious alternatives have presented themselves. 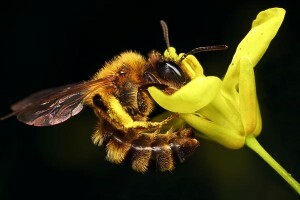 This story of pollination as an ecosystem service should act as a warning. It is vital that we recognize the value of ecosystem services as they are provided naturally and act to preserve their functionality. If we fail, we will be on the hook to provide the service. And as pollination has demonstrated, doing so is likely to be extremely expensive, if not impossible.